One thing we all know is that most celebrities may not be the real deal but their make up definitely is. And who doesn´t crave flawless foundation and exceptional eyebrows? The only problem is.... How do you do it? What are their make up secrets? This is what I am trying to find out at the Celebrity Make Up Masterclass in Manchester. The hugely success Make Up Artists Janine Dixon, Sarra Slimane and Samantha Greenwood who worked with celebrities like Pixie Lott and lately for the Tv series „Real Housewives of Cheshire“ have made it their goal to make Manchester girls as flawless as the stars. 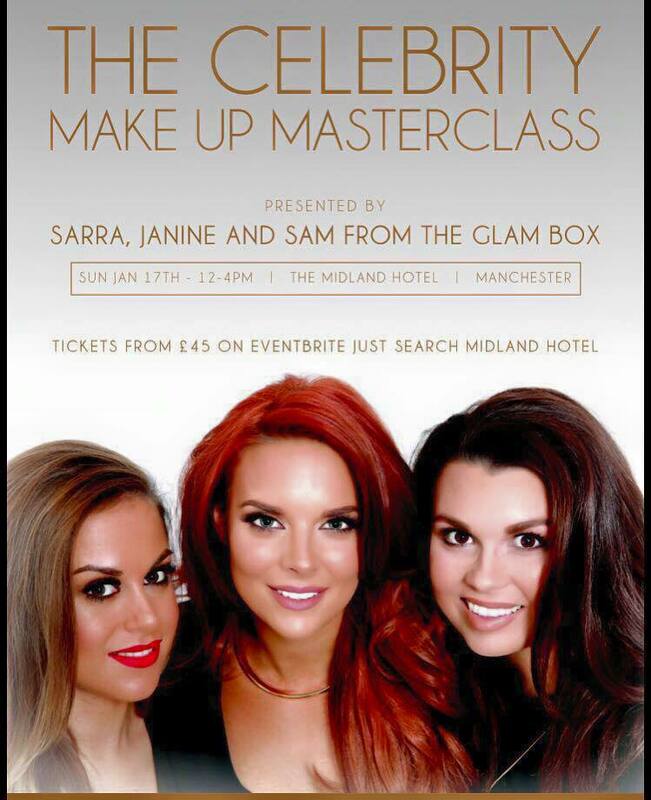 On the 17th of January in the Midlands Hotel, they will demonstrate how to achieve popular celebrity Make Up looks like the perfect contour. (Which is something I am dying to learn... ;) They will also show a live transformation of one of their famous clients! Who? Well you will have to find out on the day! If you are as excited about this amazing opportunity and always looking to improve your make up skills to perfection, you can purchase tickets here. Sounds like a really lovely course! Very helpful post! Thanks for sharing! oh finally i found a good article about make up!thanks, there are also amazing transformations https://kovla.com/blog/11-extreme-celebrity-fitness-transformations-that-you-must-look-for-in-your-partner/ of celebs here, just look at them!